BAKERSFIELD, Calif. — CSUB Men's Basketball head coach Rod Barnes confirmed that Jarkel Joiner has entered the transfer portal as he is looking to leave the program. 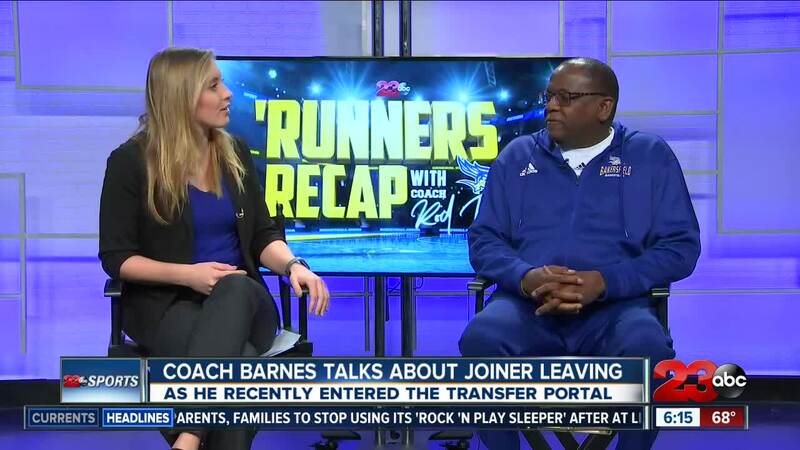 Barnes discussed his thoughts on Joiner's decision, what it means for the 'Runners and what he thinks about transfers in the NCAA. Joiner led the team in scoring in his sophomore year while being one of the offensive leaders in the conference, averaging 16.1 points per game. The native of Oxford, Mississippi is likely looking to transfer closer to home.